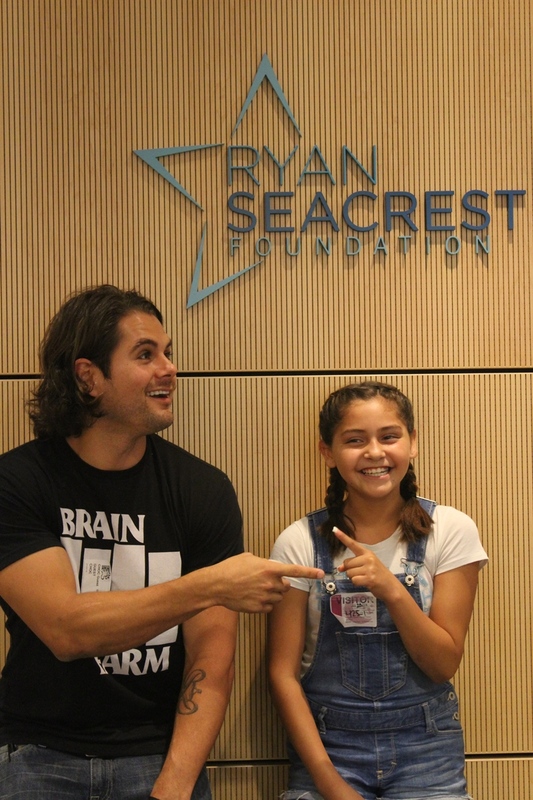 Written and Video Recaps by Seacrest Studios Intern, Mallory Leonard Remington Rafael, a talented musician and extreme sports enthusiast, visited Seacrest Studios at Children’s Hospital of Orange County. Remington, or KrazyRemi as he is known by his fans, has been performing stunts and singing from a young age. His love of extreme sports and performing has led him to combine both of these passions on stage. Remington co-founded the Dallas Stunt Riderz and began promoting his team through videos featuring not only videos of him doing stunts, but also songs written and performed by him. His videos quickly went viral and his following has been growing every since. Remi is currently working in the studio writing and recording songs for an upcoming album. Remington is a true example of perseverance. While visiting Seacrest Studios, Remington talked about how he has never let anyone else’s opinion stop him from reaching his goals and he encouraged everyone listening to do the same. His message of being “the Champion” is inspiring to all. Whenever anyone is going through a hard time, he encourages them to throw up the champion symbol, which is popular amongst stunt artists when performing a difficult trick. The symbol reminds us that we are champions and we can get through even the toughest of times. Thank you Remington, for making it a special day for patients at Seacrest Studios!